I'm a fan of sleek concrete finishes. I'm also a fan of the deep, powerful blues. I'm a huge fan when it comes to combining both, for the fresh, clean cut and elegant atmosphere they create. Like playing it rich and classy with easy to manipulate, everyday aspects. Definitely a must have combination in my dream home! 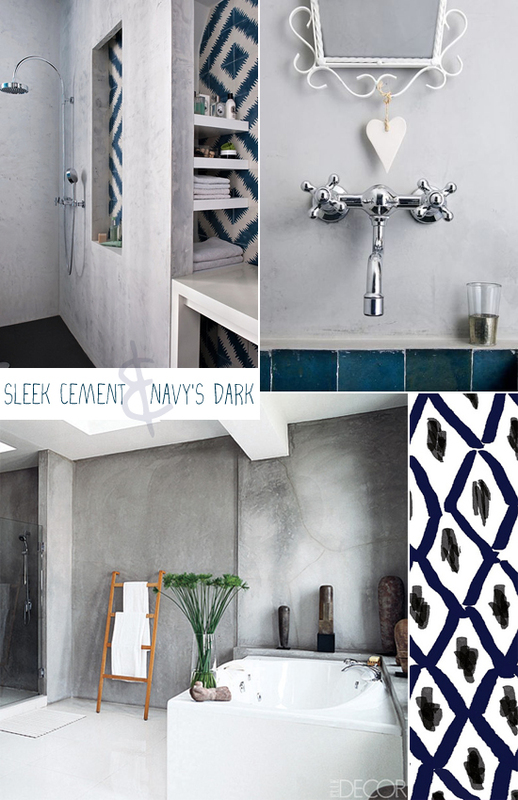 4 comments on "Blues and grays"
I love that shower! That mirrow is sweet! Such a contrast with the concrete wall! I love that combo, Eleni and the photos you've picked depict it perfectly! !